Midwest Winter Weather Blog: Light Snow then a Storm? A very weak system will touch off a little light snow from North Dakota to lower Michigan, not much for accumulation (dusting to an inch) but it may provide a snow shower on Christmas Eve. Then attention turns to the next system surging out of the Rockies on Tuesday. 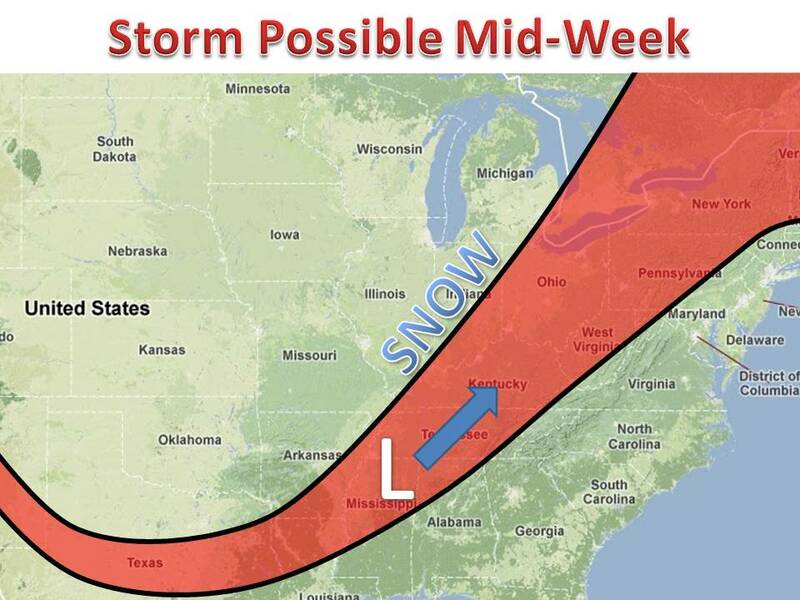 It will dip south and head towards the Ohio Rover Valley on Wednesday. The potential exists for several inches of snow from Arkansas to Ontario. Some areas may see 6". We will have more as the storm gets closer. Another storm is also showing for next weekend, taking a similar track of the latest blizzard. Stay tuned!